Last month it was rumoured that a new Rock Band game would be launching on next-generation consoles sometime this year. Well this week Eric Pope Product Manager at Harmonix has confirmed the Rock Band 4 arrival via a post over on the PlayStation Blog. Confirming that Rock Band 4 will be launching sometime later this year for Sony’s PlayStation 4. 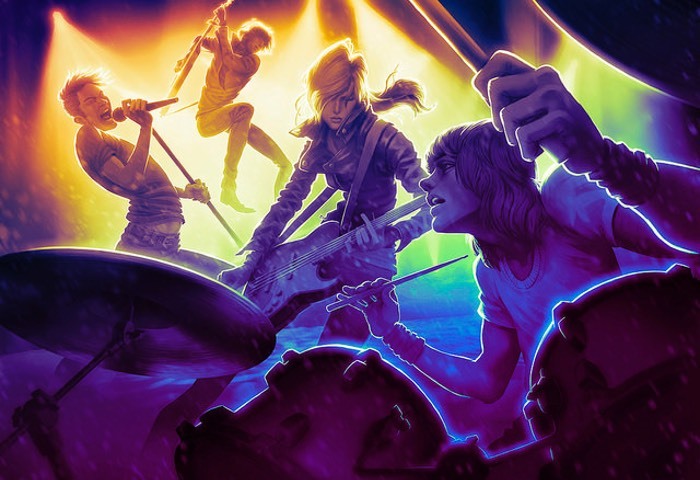 Rock Band 4 is now currently under development and will not be a “next-gen remaster” of an existing game, says Pope. “I’ve spent years as a community manager playing our various installments of Rock Band around the world with fans at every event you can imagine. I’m as excited as you are to have the next evolution of the franchise, Rock Band 4, on the current generation of console hardware. Since we released Rock Band 3 in 2010, Harmonix has branched out, developing projects in a number of new areas including motion control, PC and even VR. With every new project, the studio has challenged the perception of what a “music game” can be, and learned a lot in the process. As more information is announced about the highly anticipated Rock Band 4 game, we will keep you updated as always.